Don’t we all love it when corporate entities are active on social media? Not only that we can tag or mention them when we have something to say, good or bad, about their products and services (in hopes that they will notice and listen), but it is also a convenient way to get in touch with them directly for our questions or inquiries. 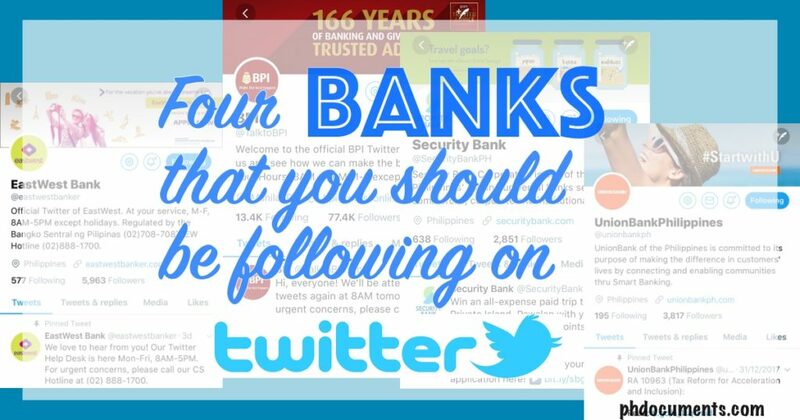 It’s interesting to know that even banks have Twitter accounts, and that most banks in the Philippines have one. However, not all of them actively reply to tweets where they are mentioned. These four standout from the others, and if you haven’t yet, I highly recommend that you follow them. 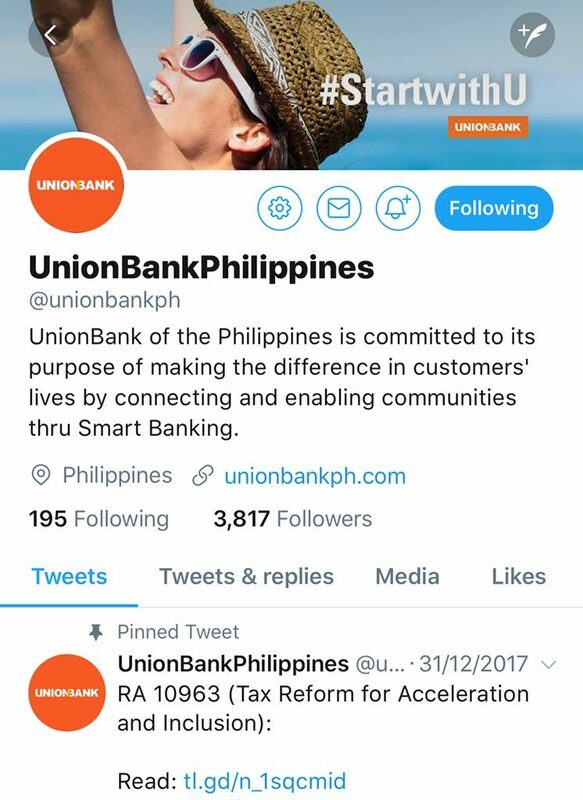 I’ve always thought that UnionBank doesn’t cater to millennials. First, their website is boring and registering to their online banking is very difficult. 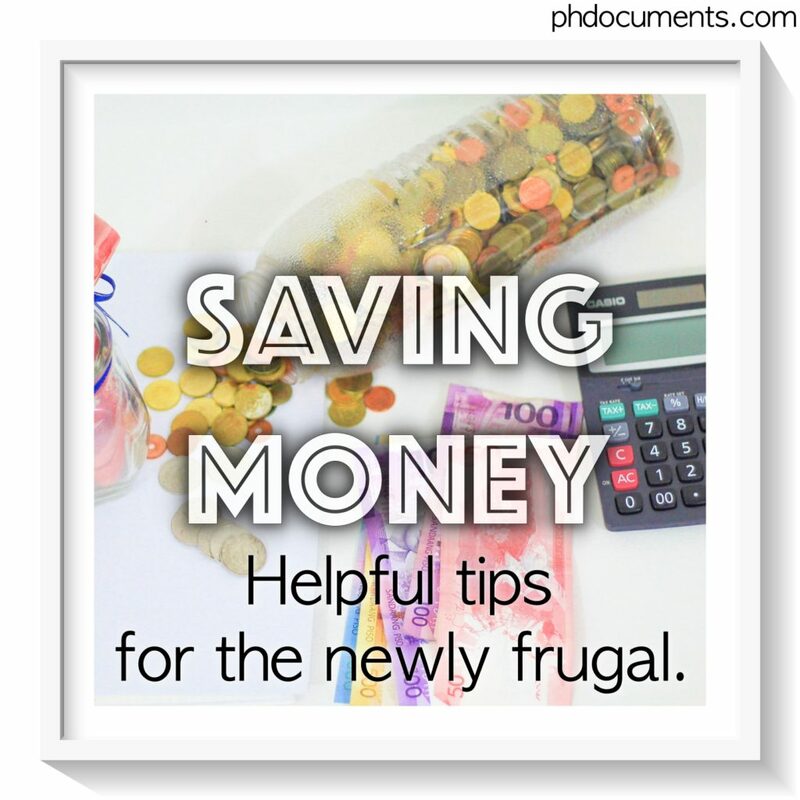 When I opened my account, I had to make a phone call to activate my online access. A few weeks later, I mysteriously couldn’t login anymore. I didn’t bother to find out, and I resorted to using their app which they updated by the end of 2017. It was a good move for their new app is impressive. 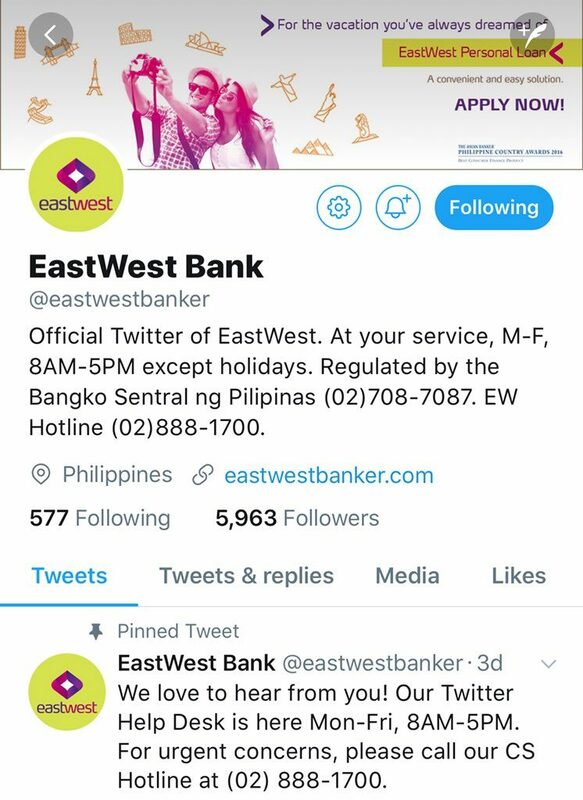 I don’t bank with EastWest, but while scanning their Tweets and replies, I was impressed. I would definitely be following them if I were their customer. 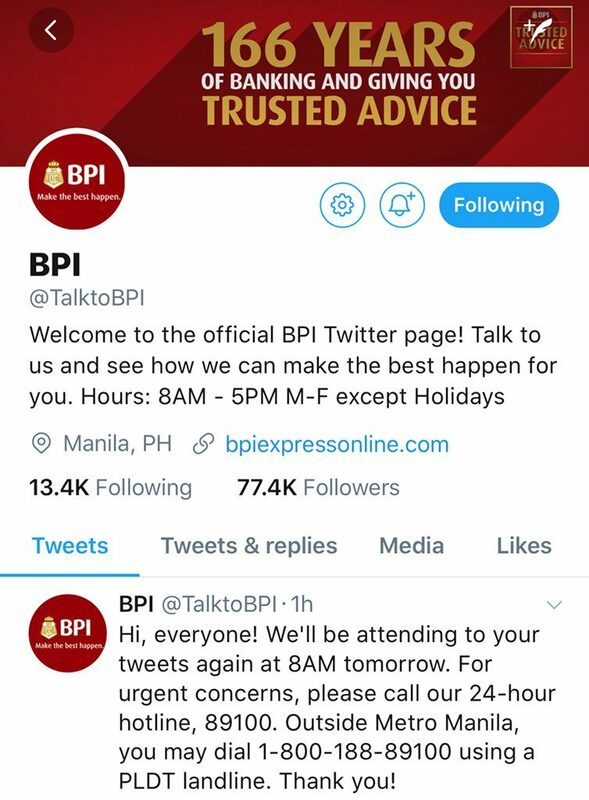 Hats off to BPI’s social media representatives for doing a great job! 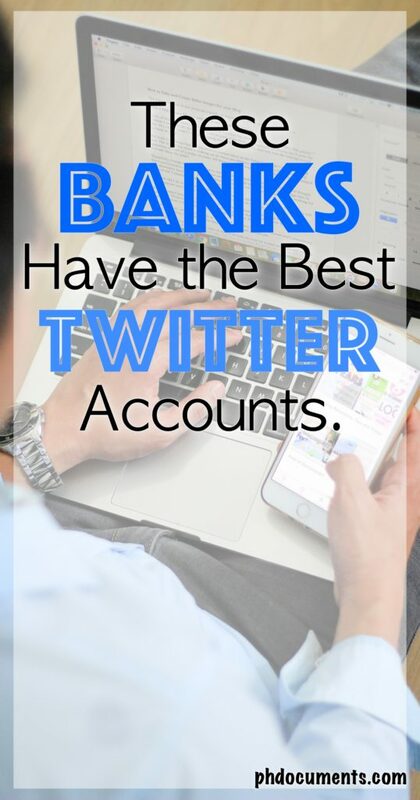 For me, they have the best Twitter account amongst our local banks who maintains one. I think it make sense for they also have the largest number of followers. 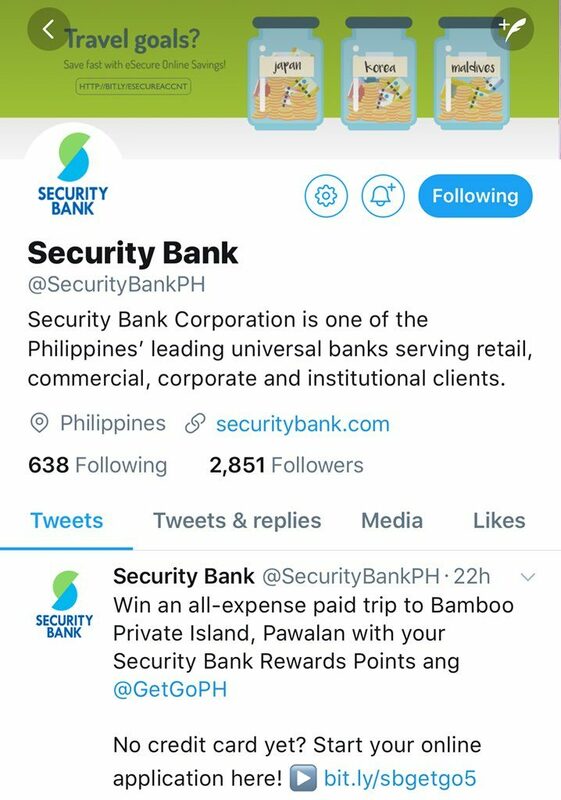 Their profile has been around for awhile, and is probably the first Philippine bank to own an official account on Twitter. Can anyone confirm? Anyway, their timeline is always updated with announcements, and they are polite and quick when responding to mentions. 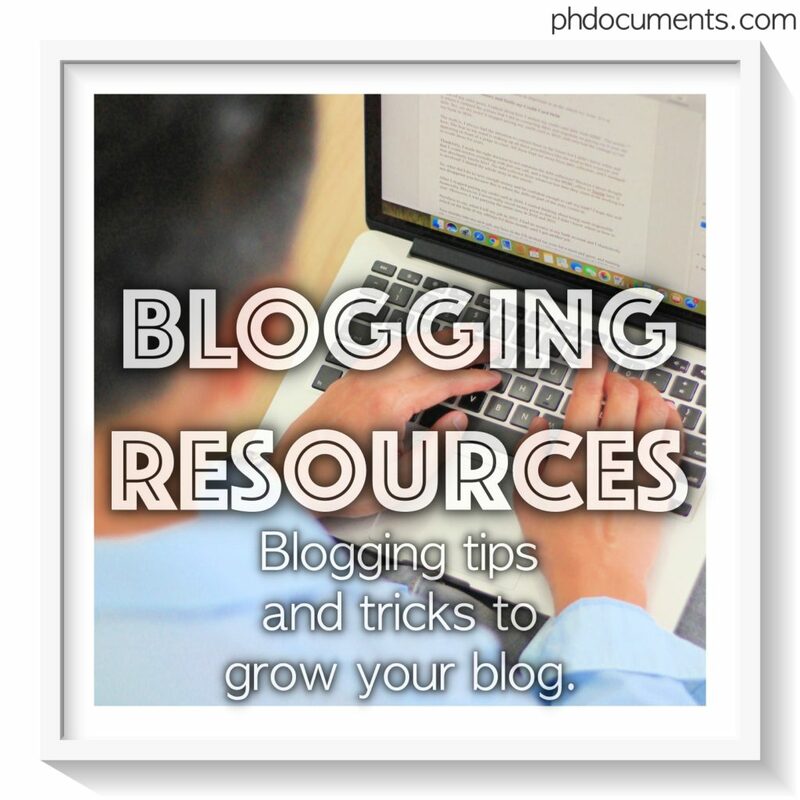 How frequent they tweet – they should be tweeting at least once a day. That means someone is actually monitoring their profile everyday. How quickly they respond – most of them follow an 8AM-5PM schedule, so if they respond to our tweets or DMs within an hour during the day, that’s enough to keep us happy. 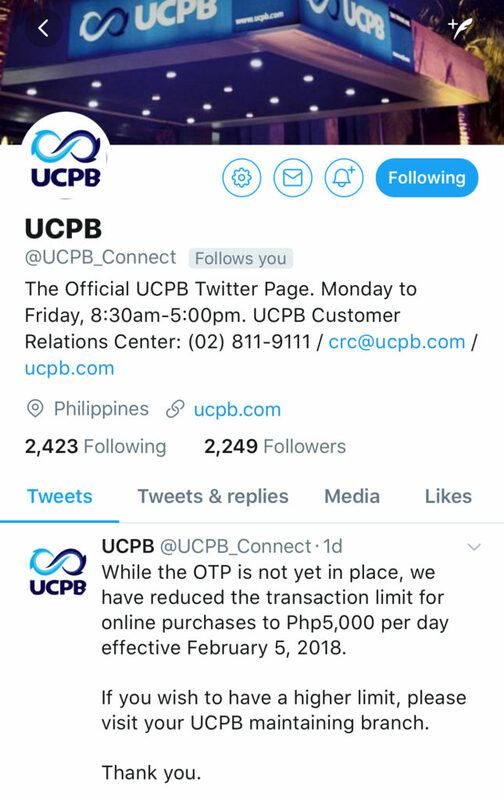 UCPB – almost made it to the list if only they tweet more often. 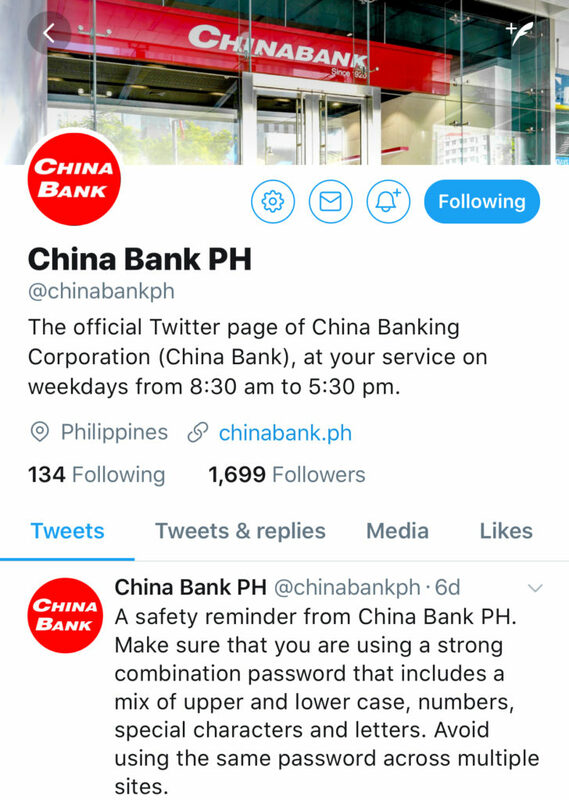 China Bank – they also reply to tweets but not as active as the other four above. I checked their profile on a Tuesday afternoon, and their last tweet (not pinned) is from six days ago. 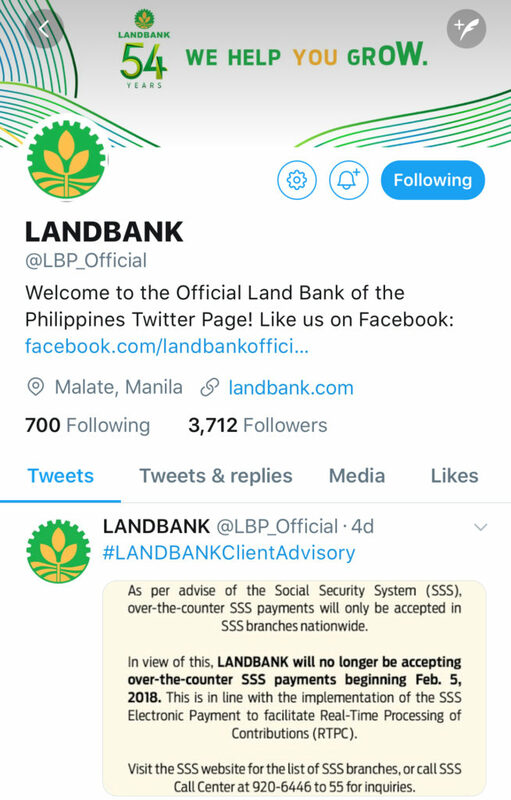 LANDBANK – they do reply to mentions as well, but similar to China bank, their tweets are weeks apart. 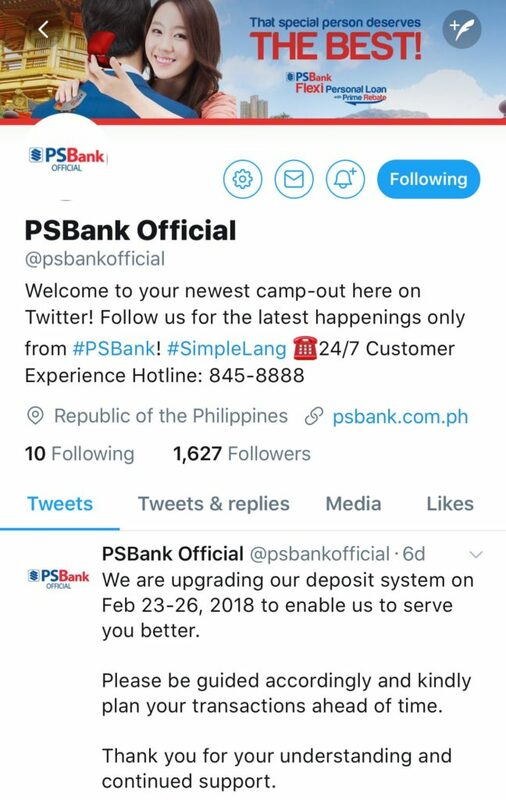 PSBank – their timeline is also not as active and busy as the others. 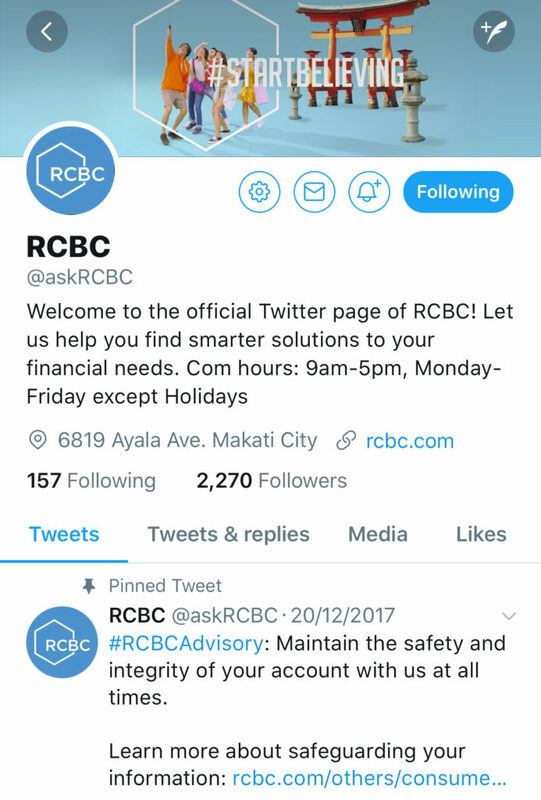 RCBC – they are getting there. If I were to pick five, I’d probably give the slot to RCBC. 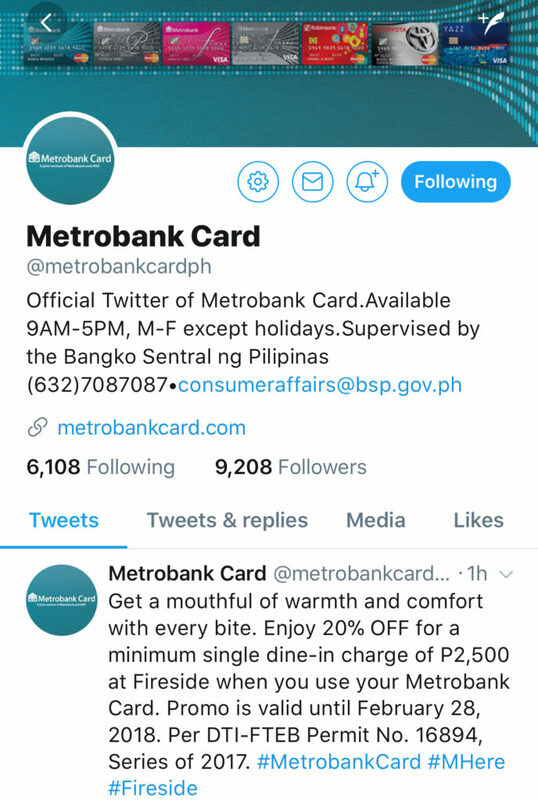 Metrobank – their Twitter account is only dedicated to their credit card holders. 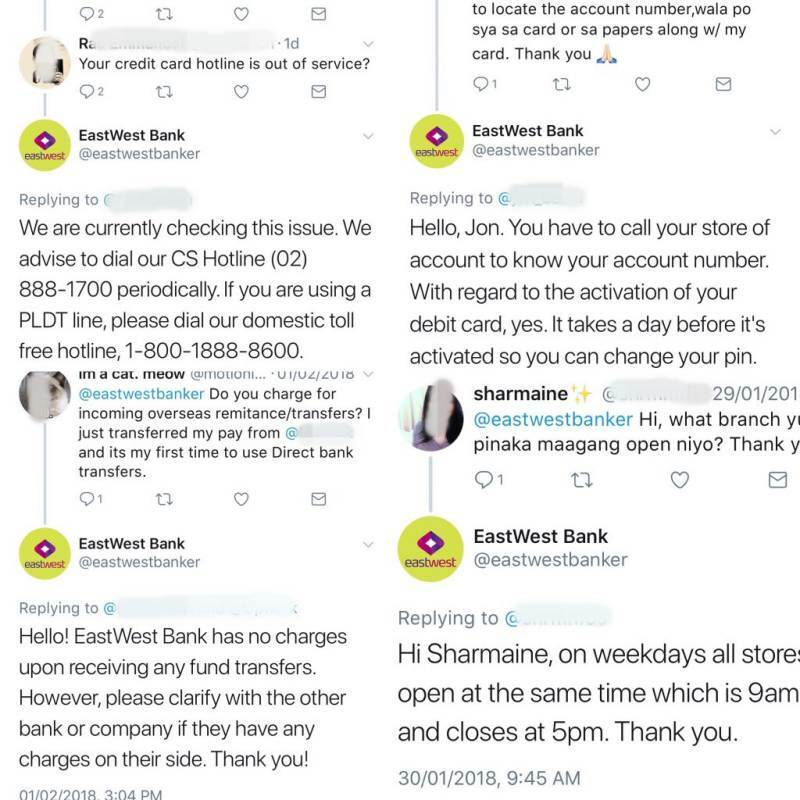 While we may not get all the answers from our banks’ Twitter at all times, it still help to have an easier way of contacting them. 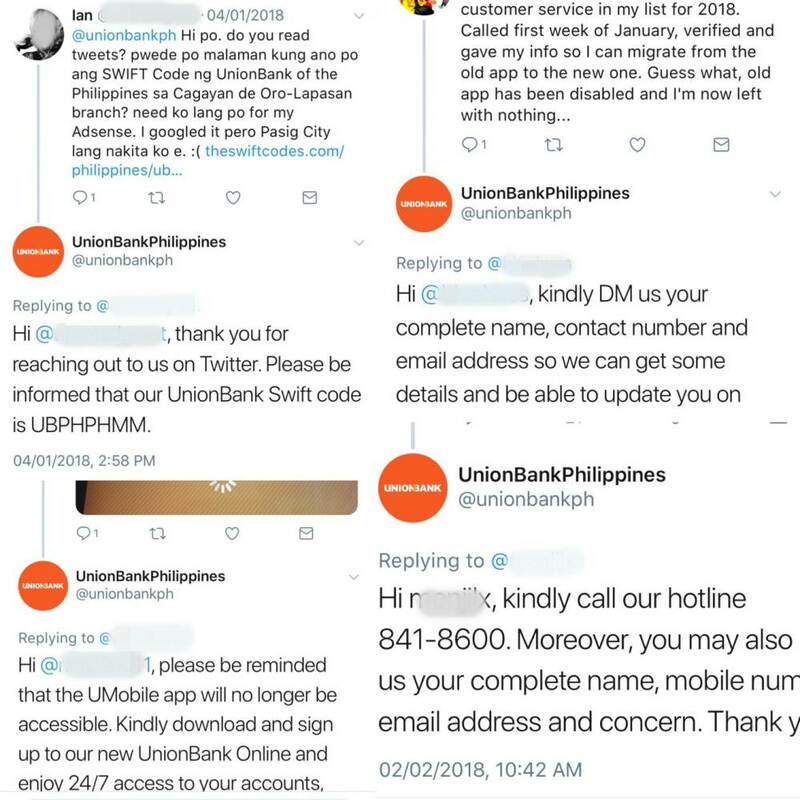 We don’t have to make a call or go to a branch to ask about the basics such as swift codes, service charges, why their app is not working, and the like. 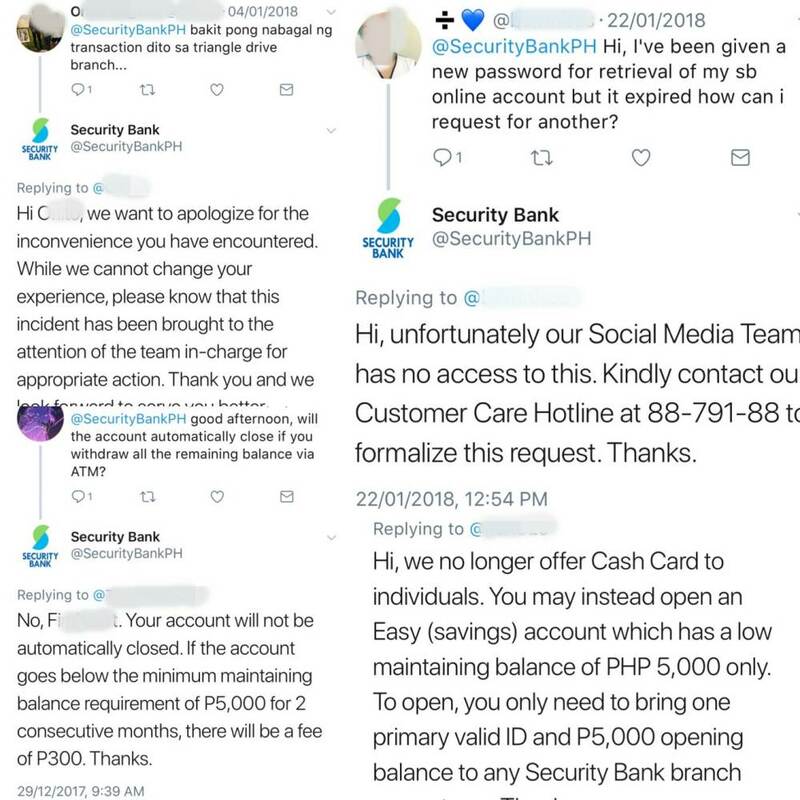 There are limitations to what these social media representatives can do on Twitter, so I understand why they need to refer customers to their phone support for account-related queries. I experienced doing chat support for over a year, and we were off-limits to anything that involves sensitive information. There are just things that can only be done over the phone for security reasons. 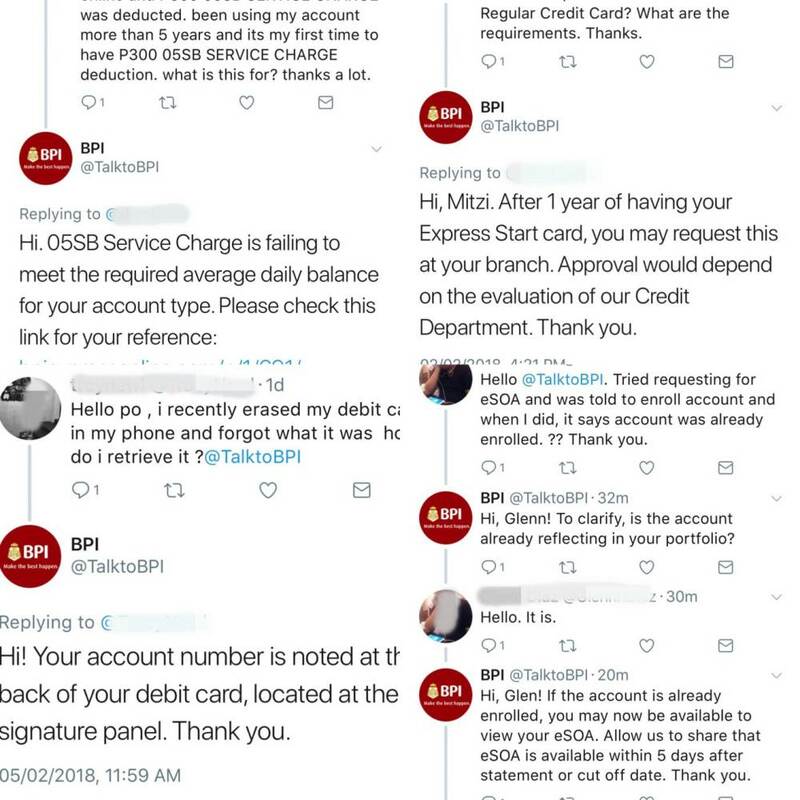 Anyway, I wonder why BDO is not on Twitter? ← Is it Cheaper to Replace or Repair a Broken Appliance?